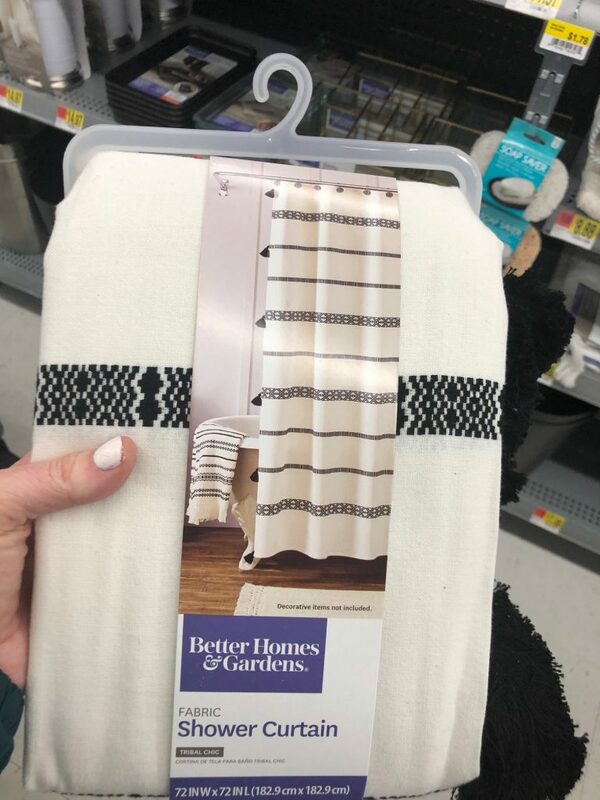 I’ll be the first to admit, I don’t love going shopping in the actual store but recently I had to do some shopping in store and I’m so glad I did because I came across these top 20 Walmart purchases that you won’t believe are from Walmart! you won’t Believe are from Walmart! 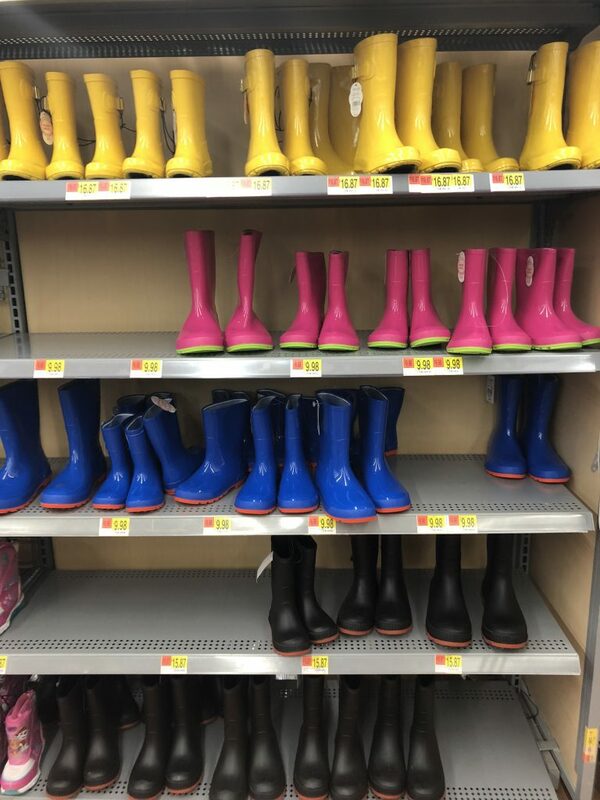 Walmart has a few new brands. One of them is called Time and Tru. It appears there is everything from clothing to jewelry available under this brand. 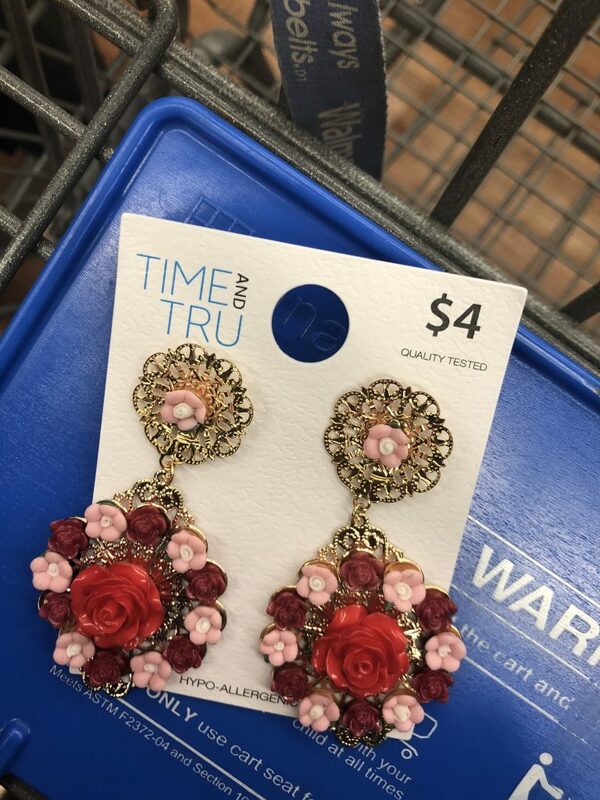 These gold floral earrings are only $4. I probably wouldn’t recommend wearing these if you have sensitive ears, but they would be so fun for dressing up a tee shirt and jeans! These are only available IN STORE so I can’t link them for you. These little quirky clear pouches were mixed in with the bags and purses. They kind of have a ban.do look to them. 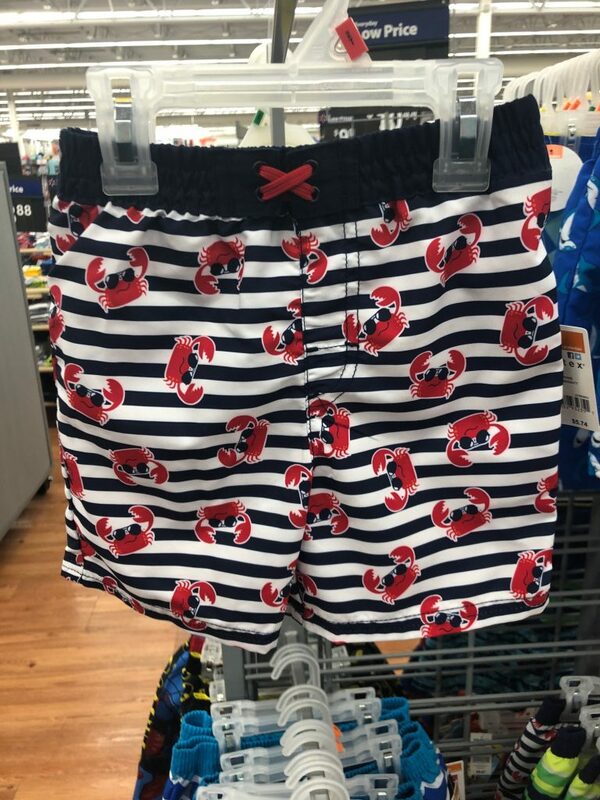 These would be perfect for throwing in your beach bag this summer. Also can’t find these online, but look in the accessories area if you’re in a Walmart. 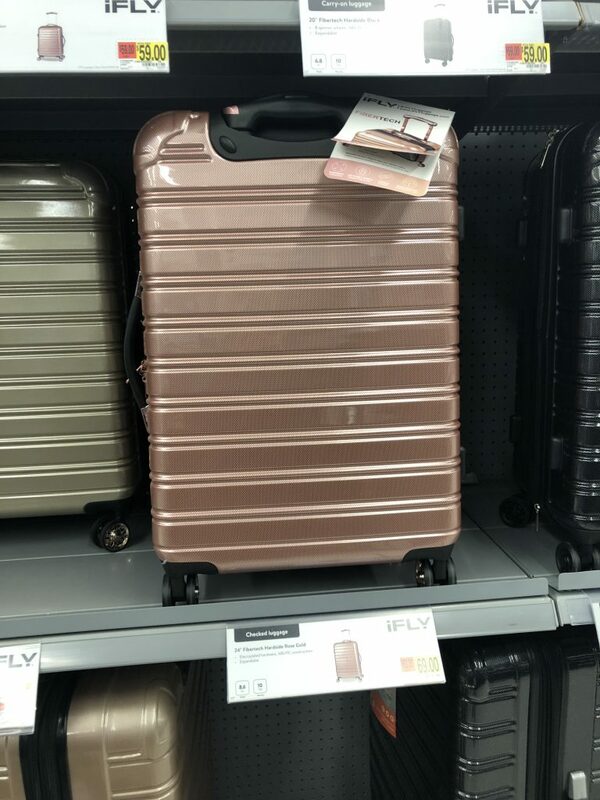 So these hard case suitcases are all the rage right now in the blogger world. This rose gold one is pretty darn cute and the price is pretty darn great. BONUS – it gets good reviews too! 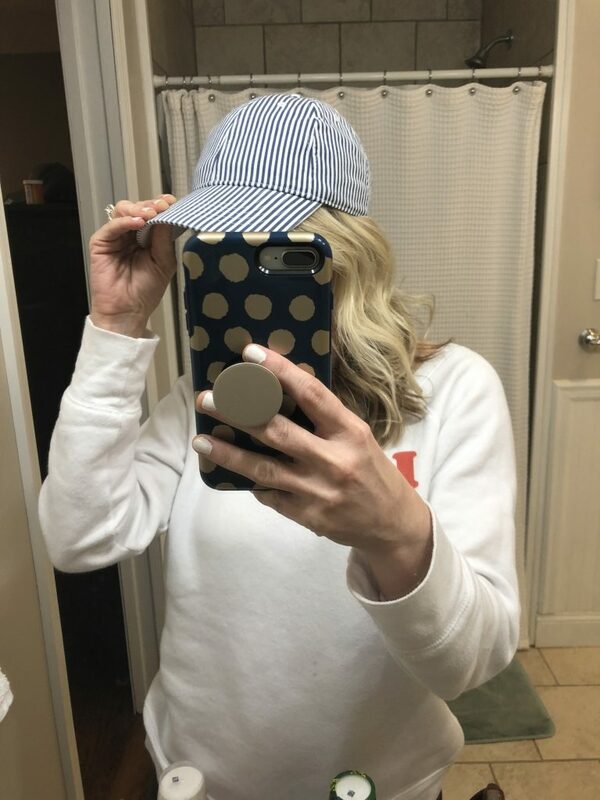 Ummm, how stinking cute is this seersucker cap? It was $3 so you can bet this one went home with me. 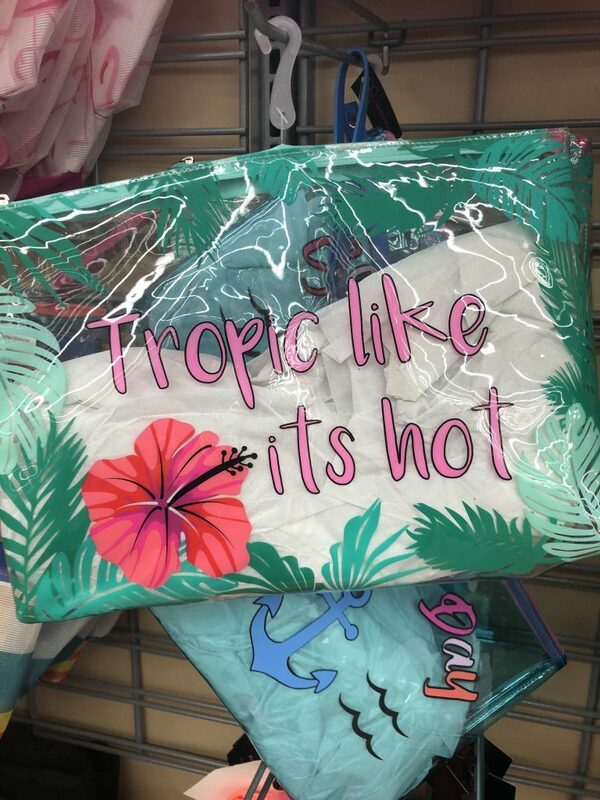 It will be perfect for the summer! How cute would it be to put a monogram on the front of this?? I’m not finding this one to link for you either, but this was located in the accessories area as well! 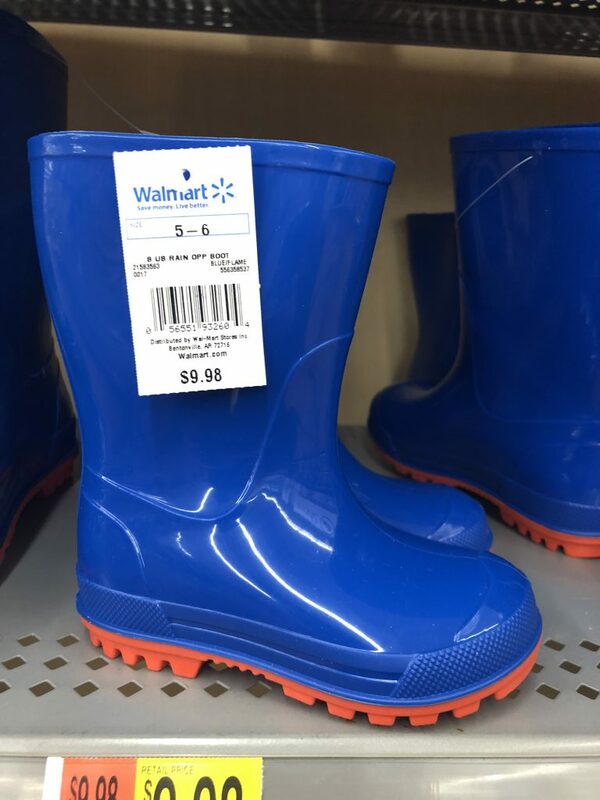 So I discovered these adorable rain boots prior to Christmas and snagged a blue pair for Henry. They came in handy for a wet Easter egg hunt this past weekend. They have so many more colors now! You can’t beat the price either. These are linked below! 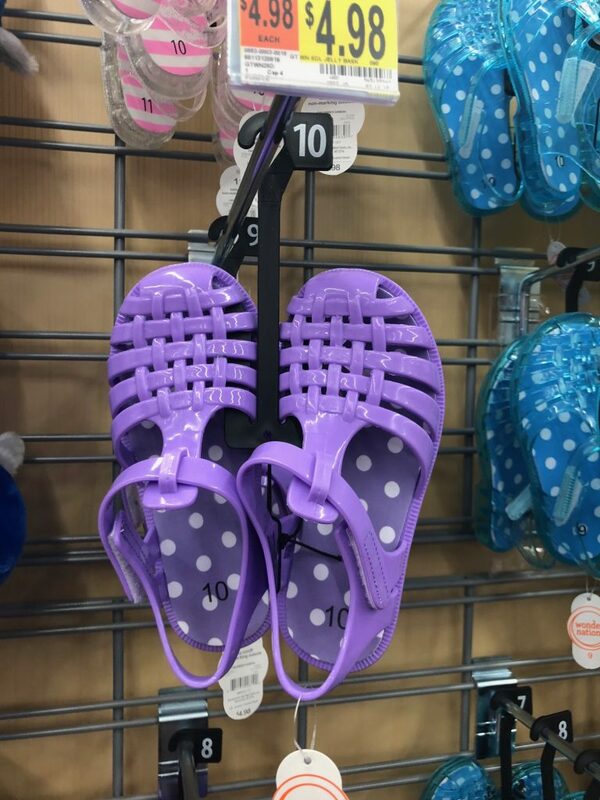 So little jelly sandals for girls were a big thing in the 80’s and 90’s and these totally reminded me of those! 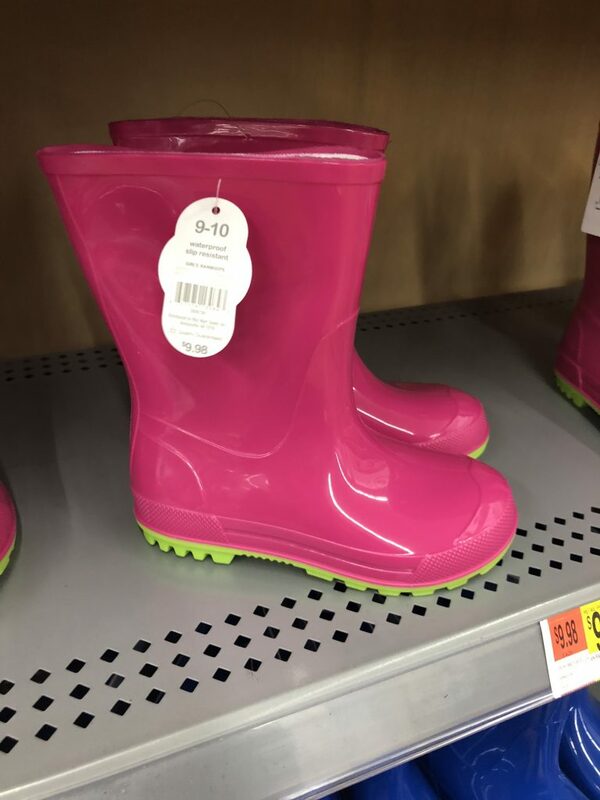 These are by Wonder Nation (Walmart’s cute new brand for kids)! And you can’t beat the price ($5). 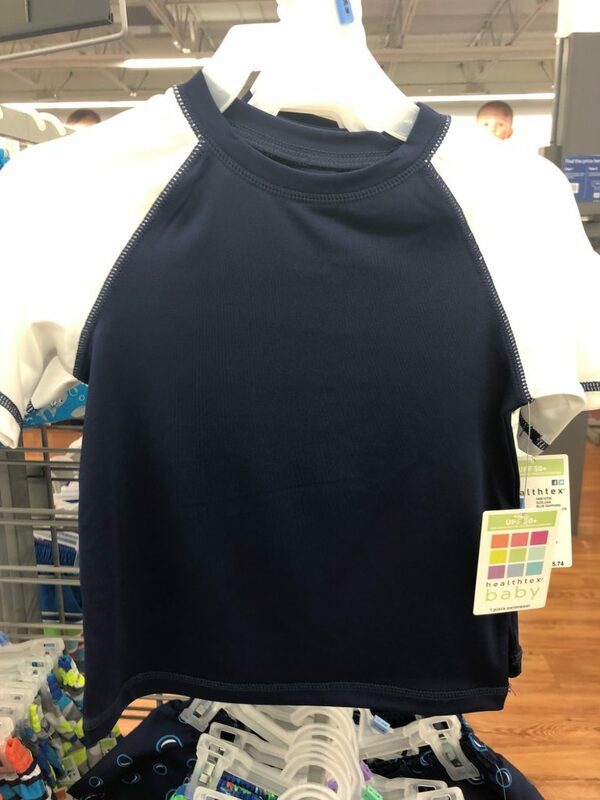 This is the second year now where I have found some super cute swim trunks and these plain swim shirts for my son! 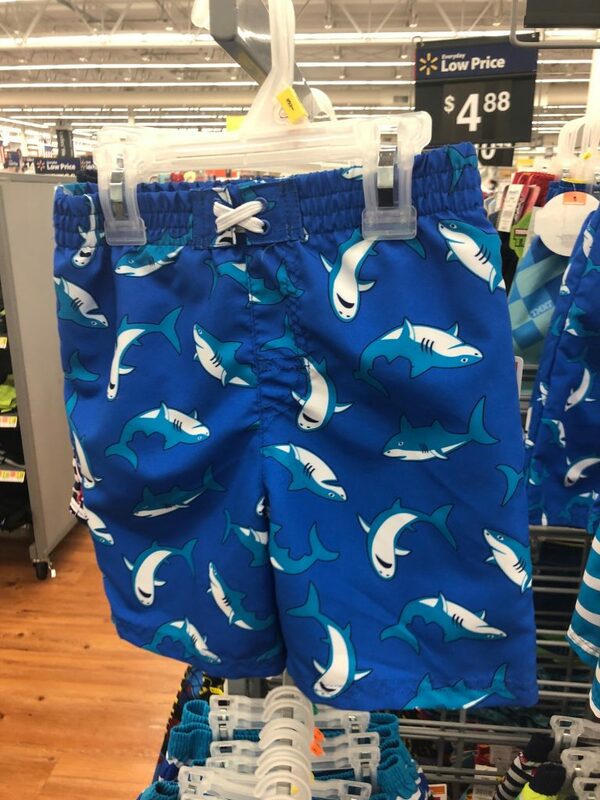 The prints aren’t terrible, and I love the PLAIN swim shirt because it will go with all of his trunks. 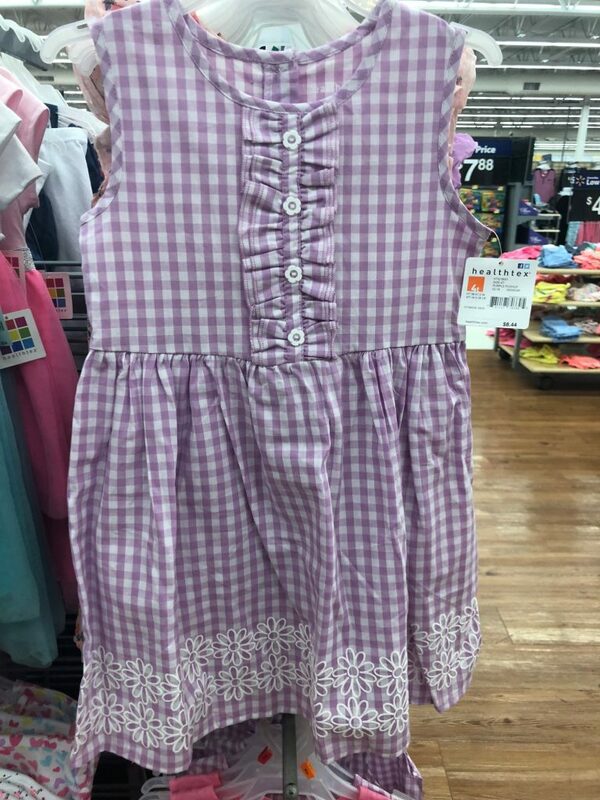 There are several cute Healthtex dresses for girls! 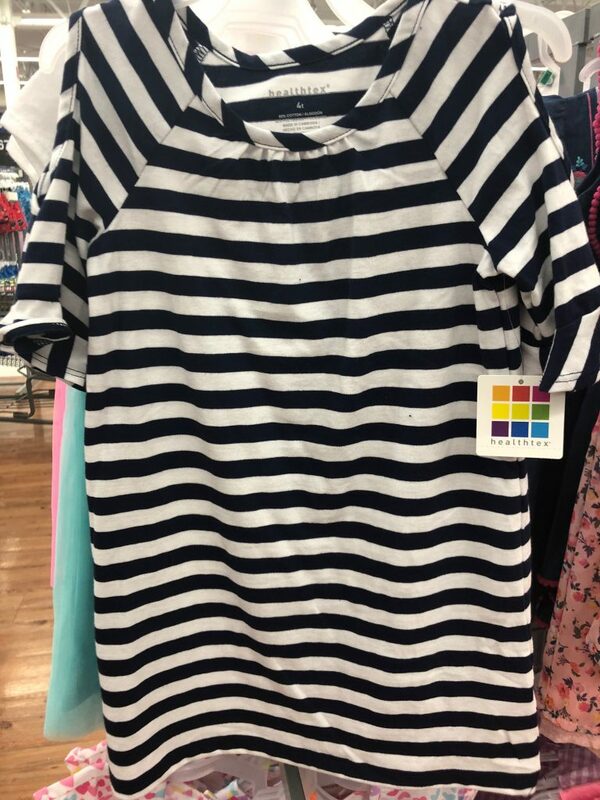 Everything from stripes to gingham! I’m not finding the exact dresses on their site but I’m linking some similar options for you! How fun are these sunglasses and matching case? Sadly can’t find these online, but check your local store! My son is growing so fast lately so PJ’s are always needed. 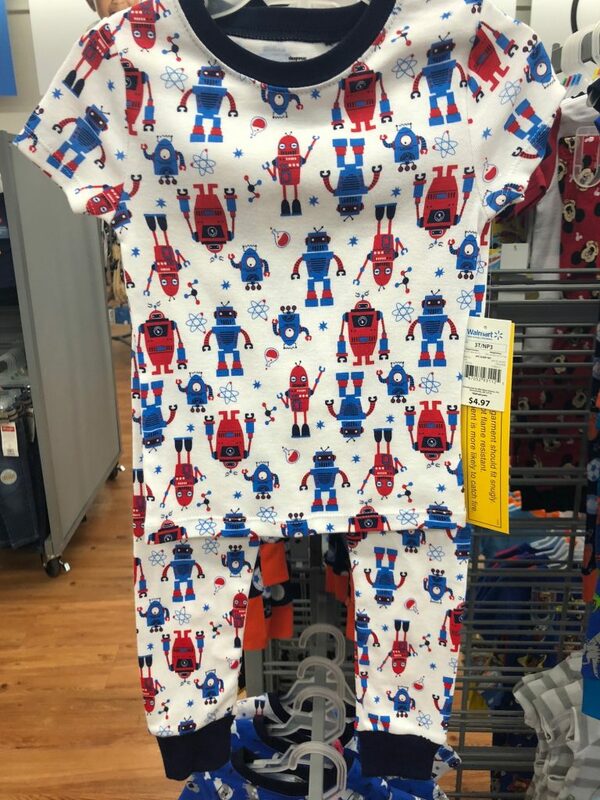 I love these cute little robot print ones! Another super cool thing I found was this set of plates, cups and utensils. It sort of reminded me of the stuff IKEA sells. 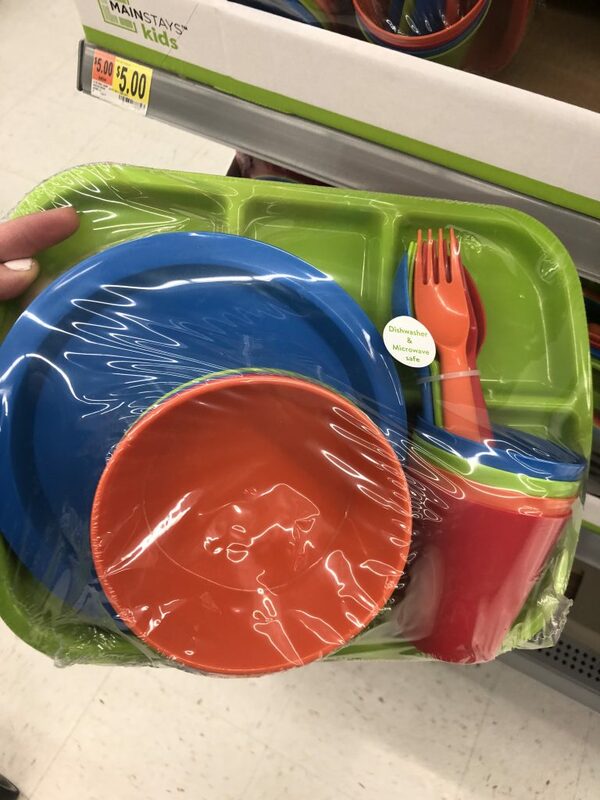 I can’t find this exact set on their website, but this same brand has the most adorable little graphic melamine plates for your tots! These would make great Easter basket stuffers! 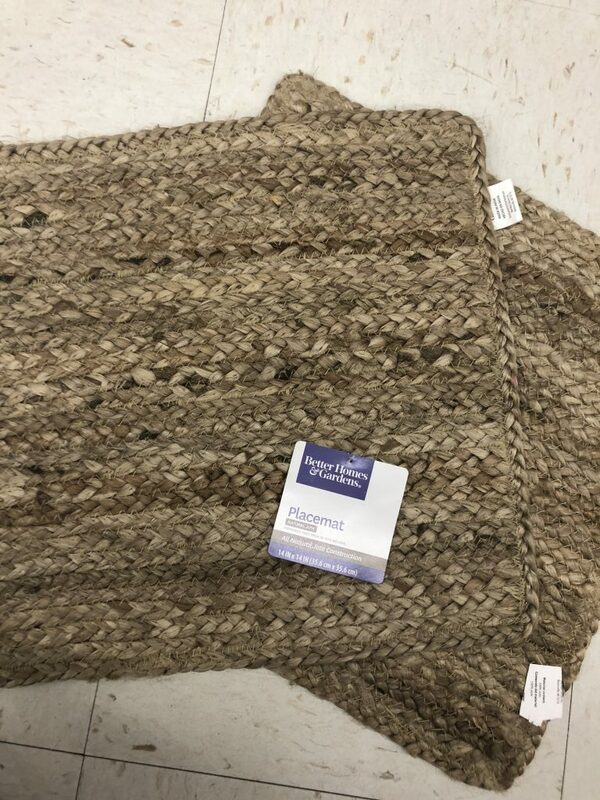 These natural jute placemats look so much more expensive than they are! 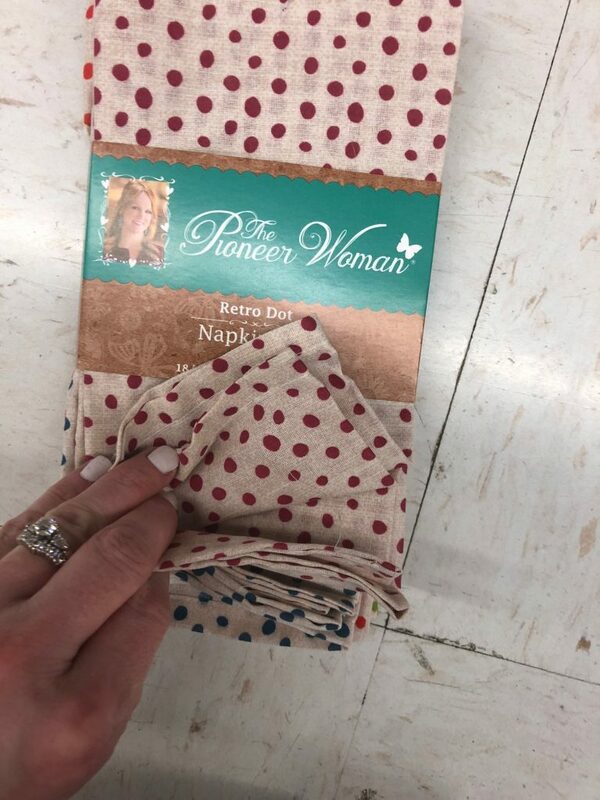 Polka dot napkins to match your jute placemats! 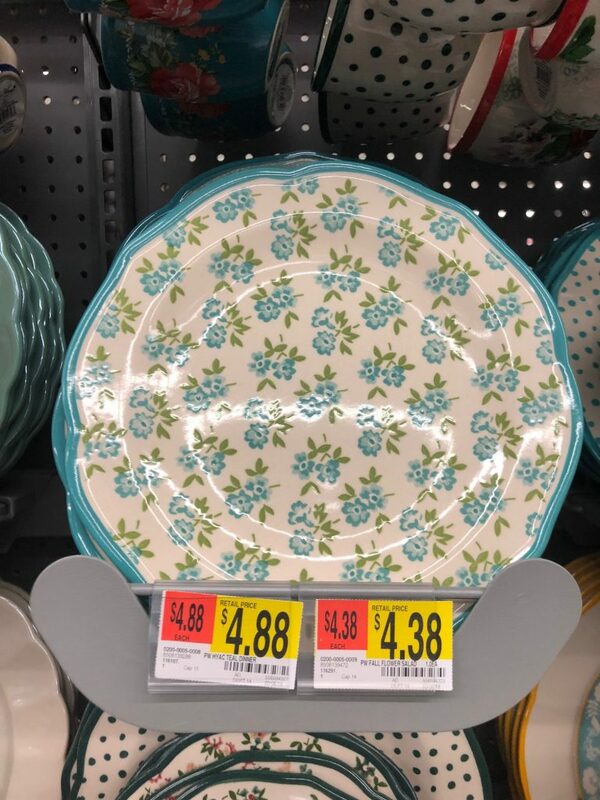 The Pioneer Woman has the most vintage, cute pieces at Walmart! 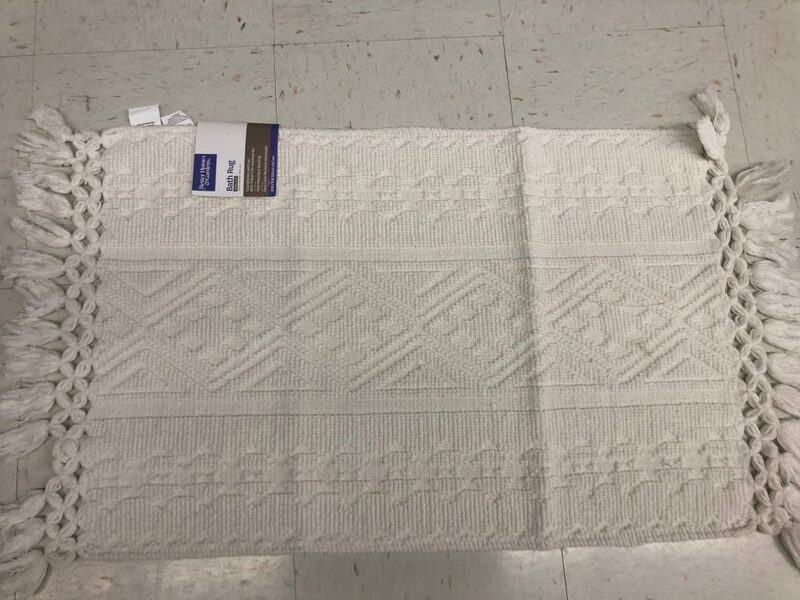 Linking some similar napkins by the same brand. These vintage scalloped edge plates look like something you would find in Anthropologie but half the cost! So many different prints to choose from! 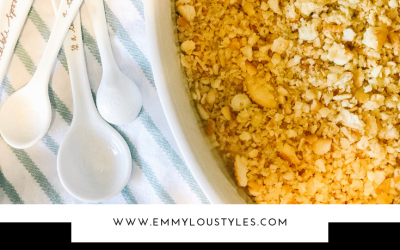 Send your Easter leftovers home in style this weekend! 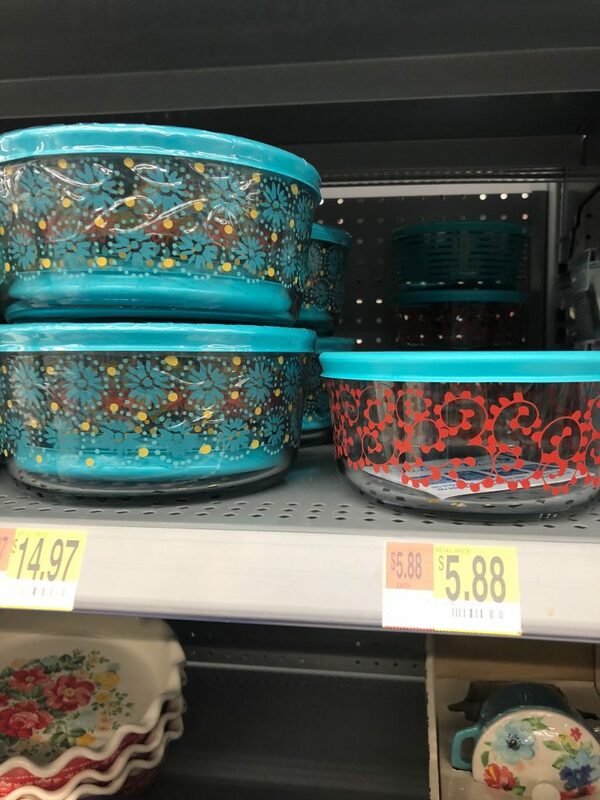 I’m not finding these Pyrex prints online, so check your local store! 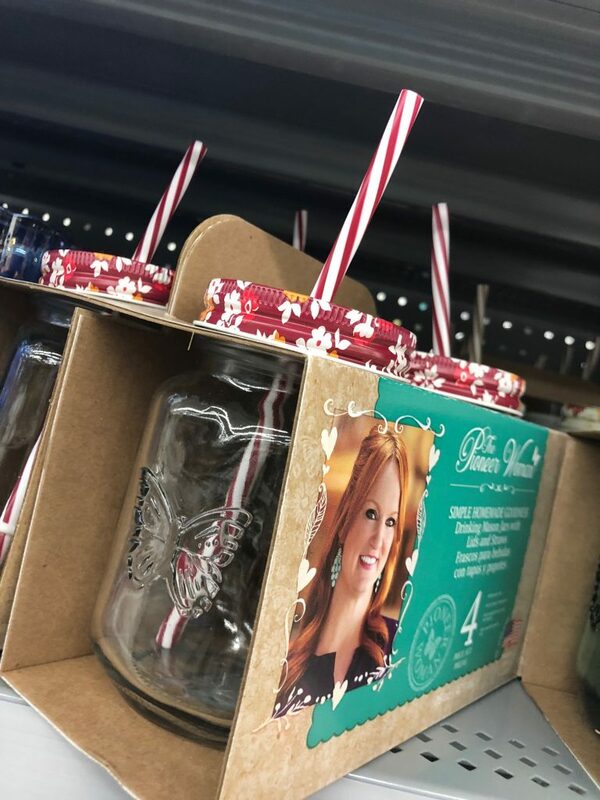 These mason jar mugs are the cutest for all of your summer drinks by the pool! 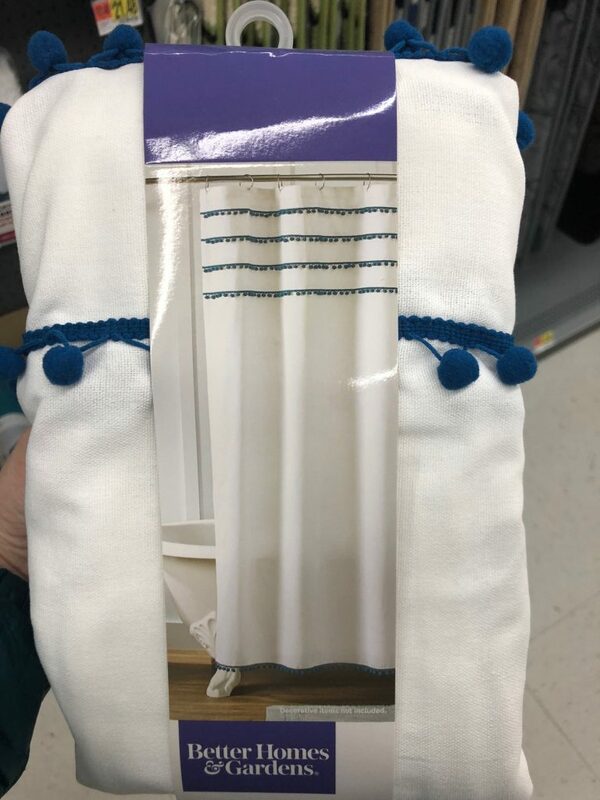 Snazz up your bathroom with this cute tribal chic shower curtain! Did I mention it has tassels?? OH and they have this pom pom shower curtain too! 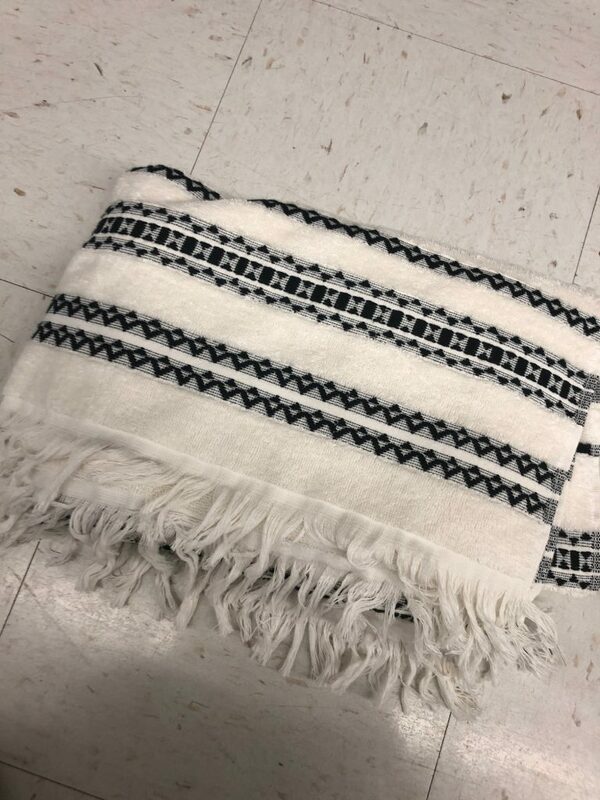 This tassel bath rug pairs perfectly with the tribal chic pieces above! 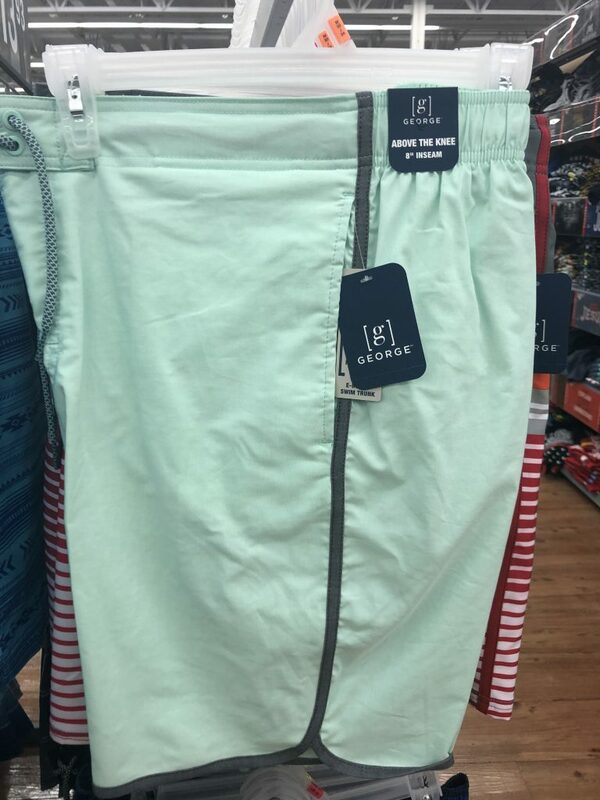 Ladies, snag a pair of solid color swim trunks for the man in your life! Under $10! Whew! That was a lot!! 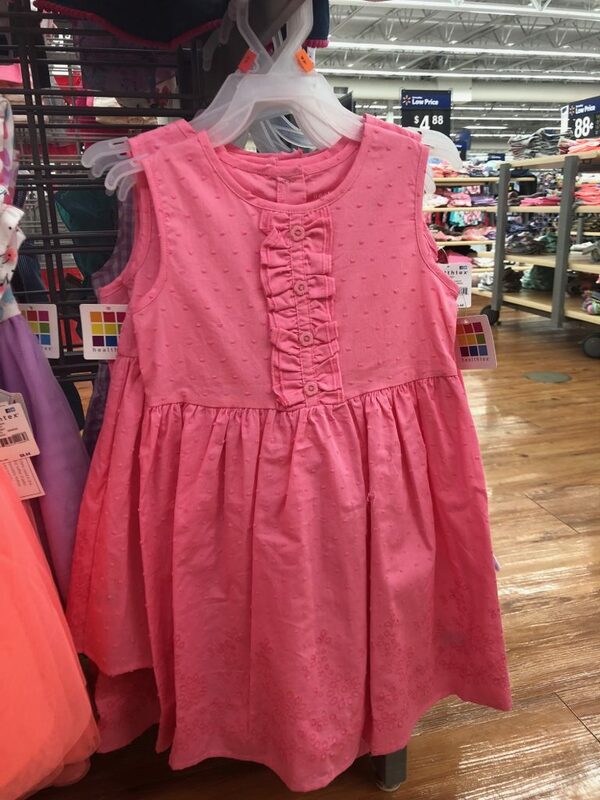 So tell me, what are some of the fun Walmart purchases you have come across?? Let me know in a comment below! 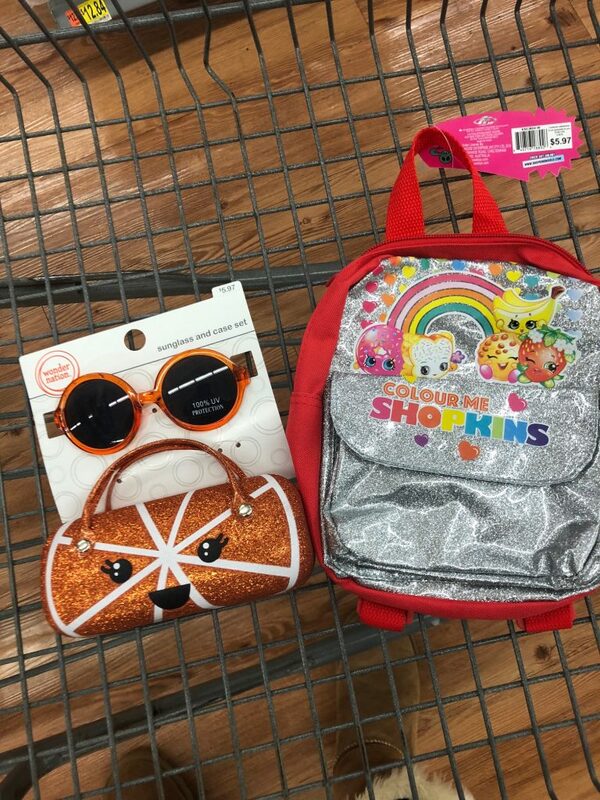 Loving these Walmart purchases? Click here now for more fantastic finds! !